Learn fun and easy ways to teach math concepts with effective games, make-and-takes, songs, and unique activities. Looking for new ways to energize your math lessons? Need some “go to” activities that EFFECTIVELY target teach specific math skills? Well, look no further! Ron and Nancy Brown have created an amazing teacher-friendly workshop that will add exciting new elements to your math program. They will dem­onstrate dozens of practical, easy-to-implement ideas that will ignite learning and promote understanding. The Browns under­stand the challenges of today’s classrooms. They have devel­oped powerful teaching strategies that truly reach all students. The best part of a Mighty Math Tools workshop is the fact that each technique or idea presented dovetails perfectly with your daily lesson planning. Join Ron and Nancy for this fast-paced workshop jam-packed with dozens of easy-to-use games, activities, make-and-takes, songs, and strategies that will help raise test scores and pro­mote understanding. New Ron Brown music that will help your kids easily remember countless math skills and standards while having a blast. 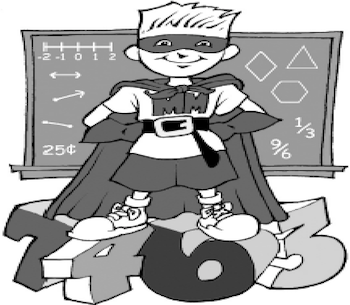 Discover Kim Sutton’s amazing math tools and games that provide support for any math program. Kim’s materials are “kid friendly” and amazingly effective. Ways to accelerate learning, provide inclusion, create excitement, and add understanding to your daily lessons. Ways to organize each student’s math materials for on the spot lessons. Learn how songs and chants create life long hooks to memory that make unforgettable math connec­tions. Advertisers have been doing this for years! Add valuable new ideasto your teacher tool belt. Create your own MIGHTY MATH CLASS! Check in. Enjoy a cup of coffee and a pastry. Get Ready! *There are projects to complete before class begins! Introduce and explore the math tool kit. You will leave with dozens of ready to use materials. *Amazing hands-on math games, make-and-take activities, unique tech­niques, and original songs that target teach specific math skills and ignite learning. EASY TO IMPLEMENT! Math Concepts: Numbers and number sense, place value, time, money, fractions, shapes, rounding, skip counting with multiples, 10 frames, even and odd, and computation. What the latest research says. * WE will demonstrate creative techniques that get the brain processing and storing critical math concepts. * Learn why these powerful techniques stimulate the brain and optimize learning. *We will invite you to wear your “teacher hat” as well as a “kid hat” as you experience ready-to-use math games and activities. (How can I use this as a teacher; and, what does it feel like as a student?) All of the ideas will easily “plug” into your existing programs. LITTLE OR NO PREP! Putting it All Together and Wrapping it Up! All K-5 Classroom Teachers, Resource Specialists, Curriculum Coordinators (K-5) and Administrators are encourged to attend. Scissors, colored markers, stapler, scotch tape, glue sticks. Extensive Resource Handbook, Prizes, Free sampler digital drop card with original songs.